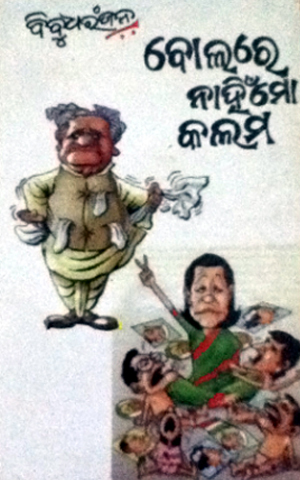 For the people of Orissa, there is no necessity to introduce Bibudharanjan. He is a man who refuses to control his pen. He had named his column in Prajatantra as ‘Bolare Nahin Mo Kalama’ (My pen is not under my control). The popular column was closed, because he refused to leash his pen. 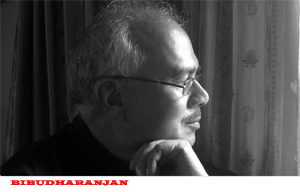 And, when the comments published in his column that the Prajatanra of Dr. Harekrishna Mahtab annihilated, were compiled into a book under the same caption, it was established that his pen stays tuned to his conscience, not to the art of ingratiation. 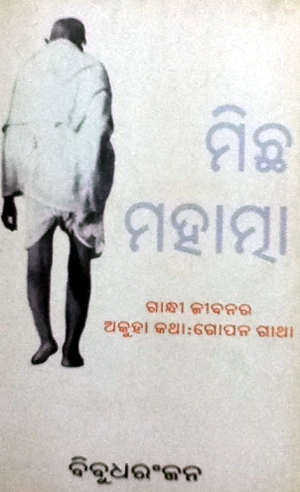 In introducing his book ‘Bolare Nahin Mo Kalama’, Bibudharanjan gave a narration of how editors of some other newspapers like Sambad, Samaya and Anupam Bharat were also very intolerant to his frank depiction of facts and how his comments were being blocked when powerful people were to be affected thereby. A highly spiritual person whose books ‘Tumari Bhitare Luchichhi Sie’ (He is resting in you), ‘Se Pathare Tu Ekaki Yatri’ (You are the lone pilgrim on that untrod way), ‘Ta Bina Sunya Ai Jibana’ (Sans Him Life is Nothing) are based on quest infinite, his focus on the unfocused side of Mahatma Gandhi has metamorphosed into a book titled ‘Michha Mahatma’, proscribed by the government but not countered by any. Oriya newspapers may or may not publish his columns, but Oriya people, particularly Oriya netizens, will no more miss the opportunity of reading what he comments on current events. The letters in the blog very small, for which unable to read. Dr. Bibudharanjan should look into it.